When Barry Allen traverses the time stream at high speeds in the upcoming Flash movie, Diana of Themyscira might be coming along for the ride. According to a small aside in a Forbes piece on Wonder Woman’s dizzying success, the heroine’s future in the DCEU already extends past that film’s planned sequel, which is confirmed for release December 2019. 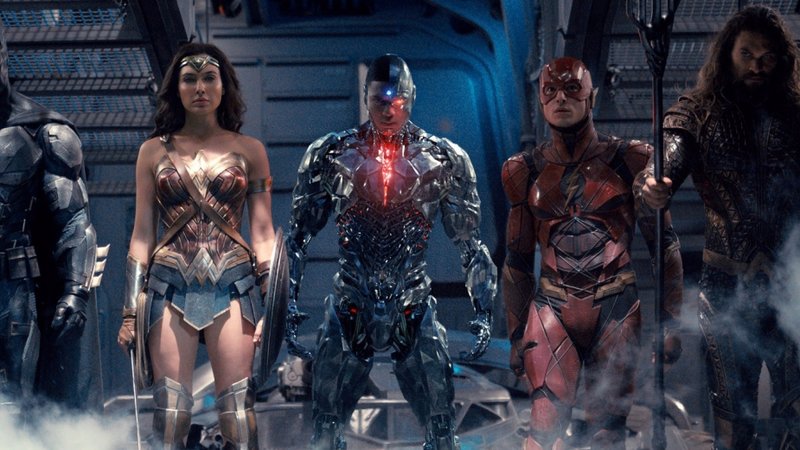 The Flash movie, according to the report, will have elements of an ensemble film when it releases in 2020, similar to the way Marvel has been handling its standalone hero films (see: Captain America: Civil War), and Wonder Woman is expected to appear. Warner Bros. just made it official. Diana Prince will ring in the holidays on December 13, 2019. We already know that the first Flash movie will be adapting Flashpoint, the Geoff Johns-penned comic arc that introduced a whole bevy of alternative interpretations of the DC comics universe on its way to ushering in the New 52. It’s a story of Barry turning back time to save someone he loves, and turning all of reality a little sideways in the process. What’s interesting to note, though, is that Wonder Woman doesn’t play that big of a role in the Flashpoint storyline as originally written. While Barry’s actions affect everyone in the DC comicverse, it’s the additions to the Batman mythology that have endured in memory and in DC canon. Flashpoint in the comics introduces a version of Thomas Wayne who is himself Batman, driven to a more violent brand of vigilantism by the death of a young Bruce. An increased presence by Wonder Woman in the film might mean that much less of Batman, possibly paving the way for Ben Afleck to gracefully step out of the role. Or it could just mean that Flashpoint will be a showcase of everyone involved, re-imagining the whole Justice League along the lines of the darker visions seen in the comic version of Barry’s altered history. It’s still early going on Flashpoint—the first news came out just recently, at SDCC—but it’ll be interesting to see this one play out. One thing’s for certain: Wonder Woman isn’t going anywhere any time soon.